Terry from Crumpets & Co is hosting both versions of Weekend Herb Blogging and this week I've put the tortilla press to use to make up a batch of Blue Cornmeal Tortillas. Place the cornmeal and water into the bowl and process until amalgamated. Add in about half the flour and continue to mix - if the dough is too soft, continue adding the plain flour a little at a time until a cohesive dough forms. Remove the dough and knead briefly to form a smooth ball. Let it rest for half an hour before proceeding. 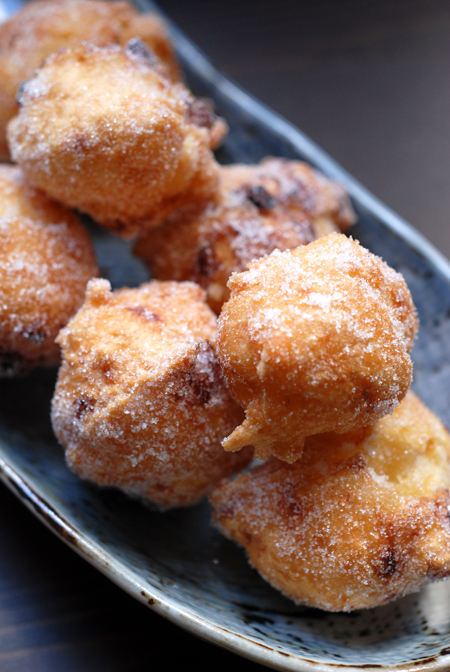 Divide the dough into 8 - roll each into a ball and then press between the palms of your hands to flatten. 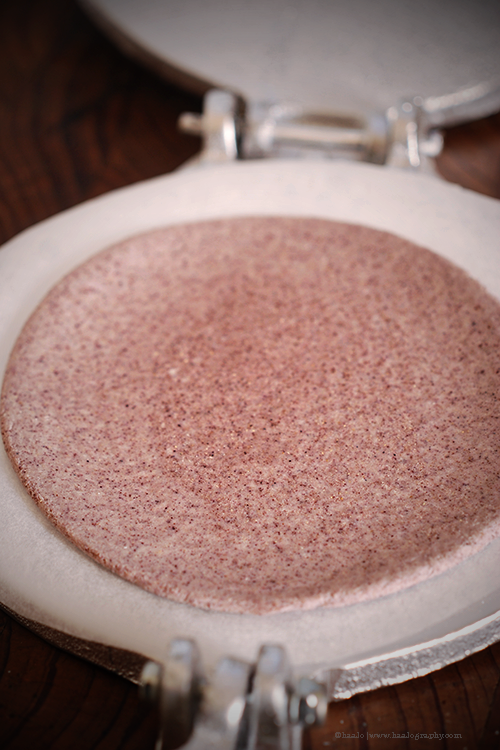 Line one side of your tortilla press with a baking paper circle - this will stop the dough from sticking to the plates. Cover with another sheet of baking paper, followed by the lid and then give it a good press. Open, remove the tortilla and repeat the process with the remaining dough - store the tortilla between sheets of baking paper. Heat a dry, heavy, flat bottomed skillet over medium heat. Place a tortilla in the pan and when the edges begin to curl, turn it over and cook the other side. The tortillas will puff while cooking and you should notice that they will lighten in colour. Place the cooked tortillas on a wire rack while you cook the rest.